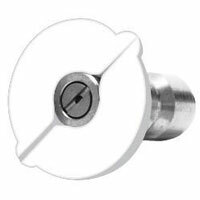 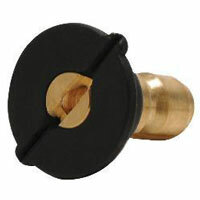 Find a replacement pressure washer nozzle for your electric or gas powered pressure washer. 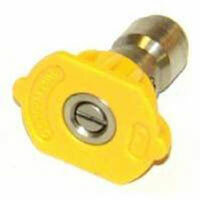 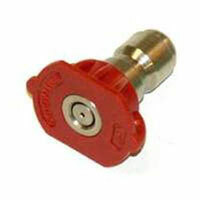 We carry the most common sizes for pressure washer nozzles. 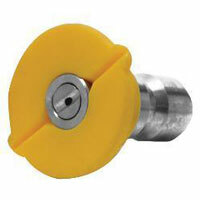 Don't know what size orifice you need? 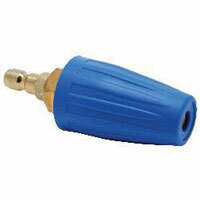 See "What size of nozzle should I use on my pressure washer?". 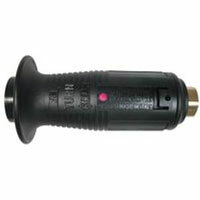 What size of nozzle should I use on my pressure washer? 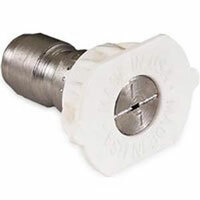 Choosing the proper nozzle size for your pressure washer is very important, if you choos the wrong size orifice you can do damage to the pressure washer pump or not be able to acheive the proper pressure for your application. 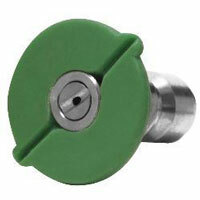 What type of nozzle should I use on my sprayer? 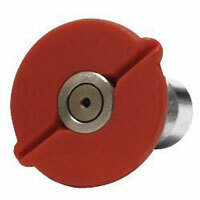 Red nozzles or 0 degree nozzles produce a narrow, powerful stream of water. 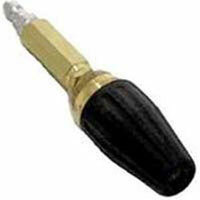 This nozzle is good for very difficult to remove dirt, stains and grime. 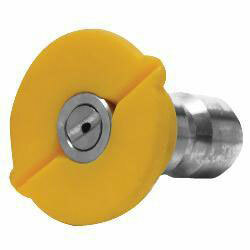 Yellow nozzles or 15 degree nozzles produce a small angle of spray for focused cleaning. 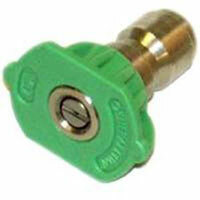 This nozzle is good for somewhat difficult to remove dirt and grime. 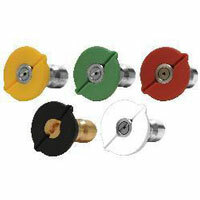 Green nozzles or 25 degree nozzles produce a medium angle of spray for washing sensitive or soft surfaces such as decks, aluminum and fencing. 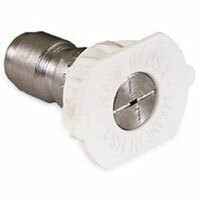 White nozzles or 40 degree nozzles have the largest angle of spray and are used for cleaning surface quickly and for rinsing. 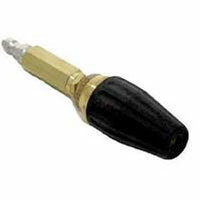 Black nozzles or 65 degree nozzles are the only nozzle that can be used with cleaning solutions.